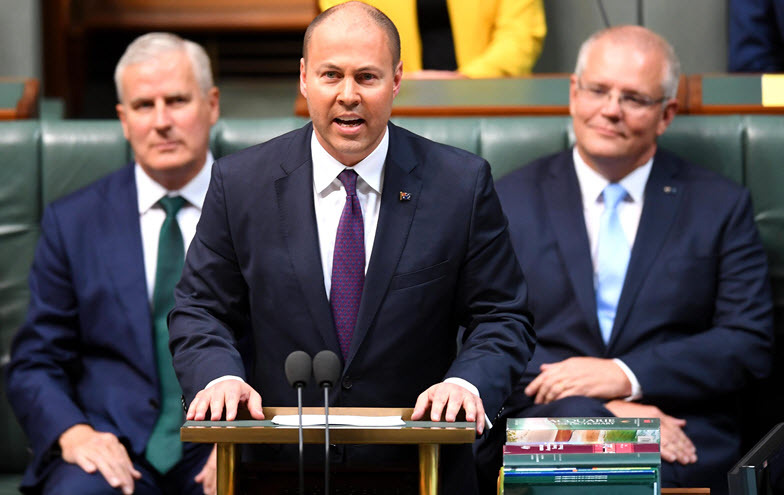 2019 federal budget: How do Josh Frydenberg’s much-vaunted tax cuts work? The centrepiece of Treasurer Josh Frydenberg’s 2018-19 budget is immediate tax cuts. The government is trumpeting a $1080 personal income tax cut for low- and middle-income earners. The cut is the full $1080 for people earning between $50,000 and $80,000. It scales up from $87 for people earning $21,000 and scales out above $80,000 so that people earning $200,000 get just $135. That money will come back to us in in the tax returns we get around August this year and it will no doubt be very welcome for millions of Australians.